Three fire crews attended the scene of a kitchen fire yesterday (Monday) after food was accidentally left in a microwave for too long. 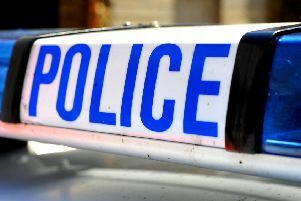 The incident, in Wellington Road, Mablethorpe, was reported shortly after 2.30pm. A Lincolnshire Fire & Rescue spokesman said: “Mablethorpe, Alford and Louth fire crews went to Wellington Road to reports of a kitchen fire. “Crews found light heat damage to a microwave and severe fire damage to the contents of the microwave. “This was accidentally caused by occupier leaving food in the microwave for too long. • For kitchen safety advice, visit www.lincolnshire.gov.uk/lincolnshire-fire-and-rescue/safety/home-safety.